Progressive stalwart and frequent Trump target Sen. Elizabeth Warren has released results of a DNA test giving "strong evidence" that she had a Native American ancestor dating back several generations. Trump denied making that promise and told reporters on Monday: "I didn’t say that. You better read it again.” President Trump, who has frequently mocked Warren's ancestry claims, said "who cares?" when asked by reporters on Monday about his reaction to Warren releasing her DNA results. Later, he added that he said he would only give her the money he promised on the campaign trail if he could administer the DNA test himself. Warren later responded on Twitter, saying "I won't sit for @realDonaldTrump's racism, so I took a test." The ancestry of Warren, a Democrat considered a possible presidential contender in 2020, has been a target for President Trump, who has repeatedly referred to her sarcastically as Pocahontas. "We have a representative in Congress who has been here for a long time ... longer than you. They call her Pocahontas!" Trump said at an Oval Office event last year honoring Native American code talkers for their service during World War II. His quip at an event paying tribute to Native Americans received swift backlash. Warren told MSNBC last year that it is "deeply unfortunate that the president of the United States cannot even make it through a ceremony honoring these heroes without having to throw out a racial slur." 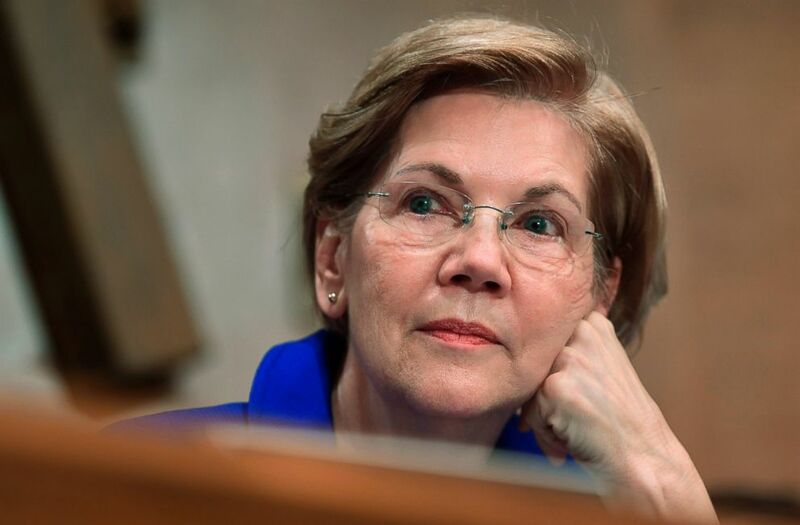 The question of Warren's ancestry came up during her first run for U.S. Senate in 2012 when the Boston Herald reported she registered as a minority in law school directories in the 1980s. Warren defended herself by claiming she was told of her Native American ancestry by family members and that the registry entry was for meeting persons with similar backgrounds, rather than to advance her career. The DNA report notes that it is often difficult to trace Native American ancestry because that population doesn't consistently participate in the types of genetics studies needed to trace ancestry. The Bureau of Indian Affairs says that such tests won't help people prove ancestry from a specific federally recognized tribe. Some Native American advocates say the use of such tests in the midst of an ongoing political debate marginalizes their communities further. Cherokee Nation Secretary of State Chuck Hoskin Jr., in a statement obtained by The Oklahoman, said "Using a DNA test to lay claim to any connection to the Cherokee Nation or any tribal nation, even vaguely, is inappropriate and wrong." ABC News' Adam Kelsey contributed to this report.